Architectural | A & B Paint Supply, Inc. 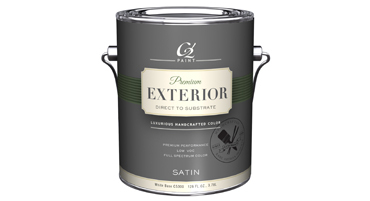 Interior & Exterior House Paints, Wood and Masonry Protectants & Stains, and a variety of paint supplies and sundries. C2 Luxe is luxurious, handcrafted color, made with finely ground artist-grade pigments. Your project will stand out with C2’s exclusive full-spectrum color, which cannot be matched by another paint line in existence. Provides superior coverage (450 sq. feet) and long-lasting durability. Available in all sheen grades. C2 Studio is a great way to enjoy the award-winning uniqueness and luxury of C2 at a price that’s wallet-friendly. All 496 full-spectrum C2 colors are available in a variety of sheens. 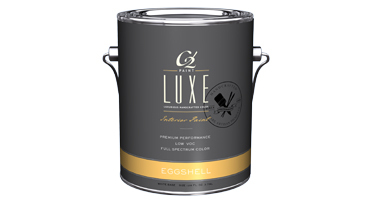 Our finest quality product provides excellence in coverage, durability and stain resistance. 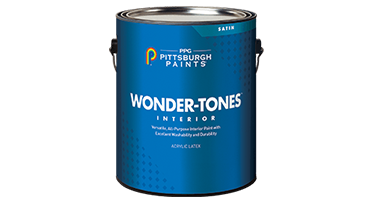 This 100% acrylic latex interior paint not only applies smoothly with great flow and leveling for a beautiful finish, but its improved burnish and stain resistance makes it an ideal interior paint & primer for withstanding wear and tear in high-traffic areas. 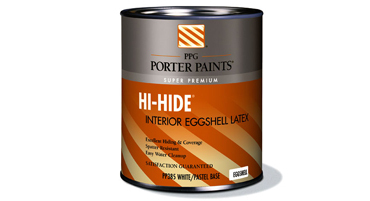 Porter HI-HIDE®, a timeless, well-respected line offered by PPG, offers excellent hiding power, durability and washability. This spatter-resistant formula is available in a variety of sheens, including ceramic matte. 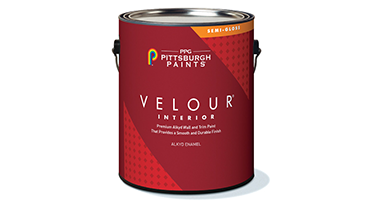 This premium alkyd paint provides a durable, smooth, semi-gloss finish and helps protect interior spaces that receive hard use. It is ideal for use in hospitals, schools, offices, hotels and motels, and homes, and is suitable for properly prepared masonry, wood and metal, as well as wallboard surfaces. 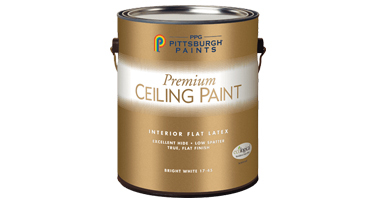 This premium, high-hiding, spatter resistant ceiling paint is designed to meet the performance requirements of the residential and commercial markets. The bright white, flat latex provides a beautiful, premium finish to interior ceilings. 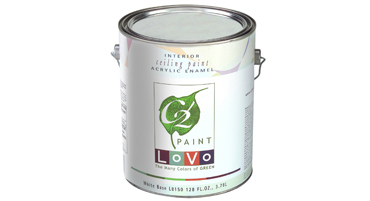 C2 Ceiling Paint is a high-quality, painter friendly coating specially designed to provide a non-yellowing, high- hiding, low odor, fast drying finish for ceilings in all areas of the home or office. 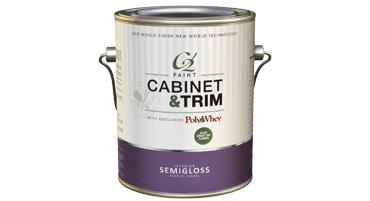 C2’s revolutionary Cabinet and Trim Paint features patented Polywhey® technology - a safe, easy-to-use finish using recycled dairy whey protein. This innovative formula blends the elegance of an Old World traditional oil-based paint with the benefits of modern-day, low-VOC technology. The result is a smooth, porcelain-hard finish that is one of the most eco-friendly and durable products we have ever created. Because of it's incredible durability, it’s also great for use on floors. C2 Premium Exterior is a 100% acrylic formula that provides outstanding covering power, tenacious adhesion, with excellent weathering capabilities and color retention that are second to none. 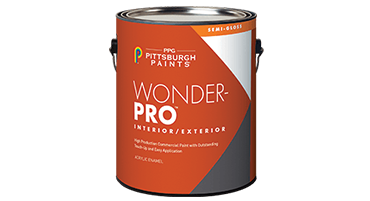 This high-quality paint is an all-purpose solution for interior surfaces like walls, trim, properly prepared drywall, plaster, masonry, primed metal and wood. 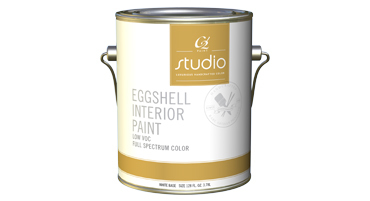 This professional paint provides a more washable and durable finish in commercial and residential buildings than conventional latex paint. 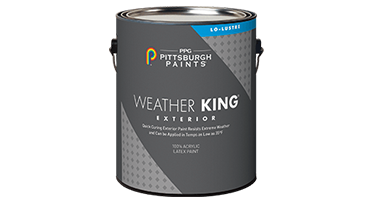 This quick-curing exterior acrylic latex paint can be applied in temperatures as low as 35°F to help extend the painting season. It is formulated to resist early moisture exposure, providing outstanding protection in extreme weather, and is ideal for many properly prepared outdoor surfaces. Break-Through!® offers outstanding early block resistance and quick dry, resulting in fast turnaround and increased productivity. This product provides hardness similar to or better than standard alkyds with a low-VOC formula. C2 Guard penetrates deep into wood and masonry, forming a flexible polymer barrier and becoming part of the substrate’s cellular culture. This enhances structure resists water penetration, helping to prevent splitting, cracking, and warping. 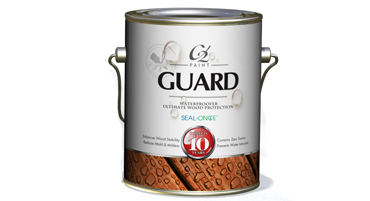 C2 Guard guarantees 7 years on horizontal surfaces (such as decks and patios), and 10 years on vertical surfaces (such as fences). 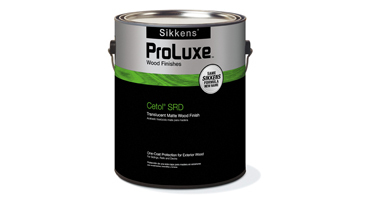 For decks, siding, windows, and doors, Sikkens ProLuxe provides a distinctively rich and vibrant finish. These high-end products are designed to provide unrivaled looks, durability, finishes and performance on all types of exterior wood. 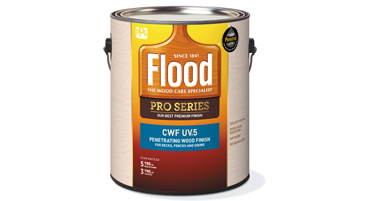 Flood® Pro Series offers exceptional finish with excellent UV protection and color richness, with its advanced formulation that protects wood from the inside out. A&B is a proud carrier of the Pro Series, not available at chains and big-box stores. A&B is proud to offer some of the finest interior and exterior wood stains and finishes available. 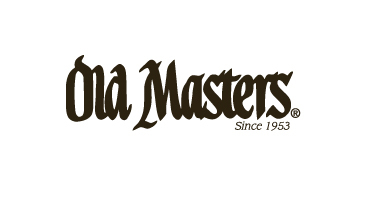 Old Masters offers both oil and water-based stains and gel-stains, in a wide variety of colors and finishes. C1000 is a 100% acrylic stain blocking primer/sealer designed for multiple interior/exterior uses. C2 One’s terrific adhesion makes application to direct to metal surfaces such as galvanized, aluminum and properly prepared steel easy. C2 One blocks most stains from water, grease, oil, crayon and ink. 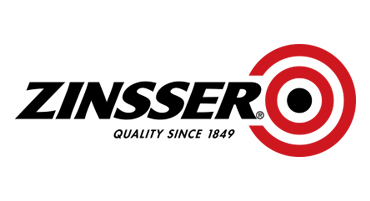 Founded in 1849 on the principles of quality and innovation, the Zinsser® brand is known for professional-quality, problem-solving products that make the job easy and get it done right. A&B Paint Supply carries a full line of Zinsser® products. See an in-store associate for the right product for your project. A&B Paint Supply proudly carries a wide variety of professional-grade Wooster® rollers and brushes. 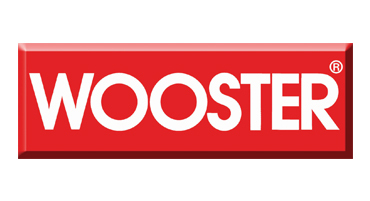 Wooster’s second-to-none product line brings a higher quality than you’ll find at big-box stores for the same great price. 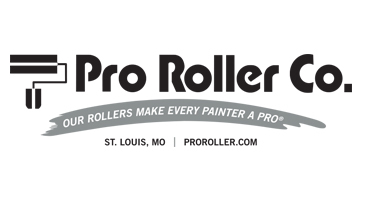 Family owned and operated, with over 60 years experience producing high-quality rollers made in the U.S.A., satisfaction is 100% guaranteed. A&B proudly offers these quality rollers at a wallet-friendly price. 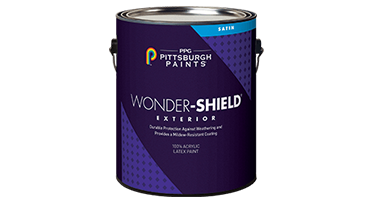 An outstanding value, Wonder-Shield® provides durable protection against weathering and provides a mildew-resistant coating. It is easy to apply, cures quickly, and can be used on properly prepared wood, siding, trim, sash, masonry, weathered aluminum, vinyl siding and metal. A & B Paint Supply, Inc.
A&B Paint Supply, Inc. is a woman-owned small business, established in 1963. 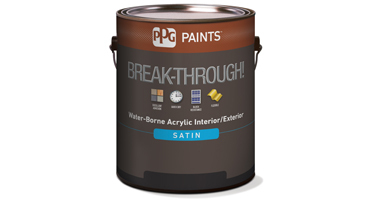 As a PPG Platinum Distributor, we proudly offer PPG paints and finishes in six locations throughout central Illinois. See "About" for the location nearest you!